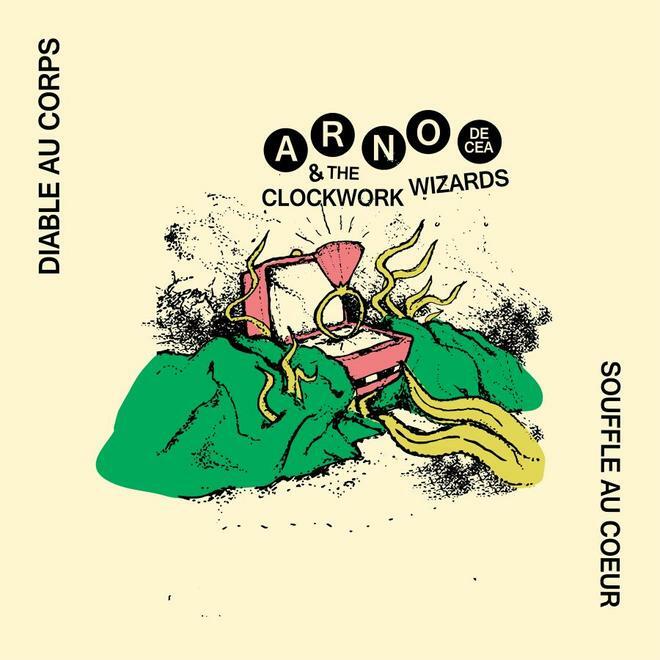 ARNO DE CEA & THE CLOCKWORK WIZARDS / THE ORIONS SPLIT 7"
Calico , Creepozoid , Emergence and Crapoulet Records proudly present a split 7" containing 4 songs by Arno De Cea & the Clockwork Wizards ( three freaks from south west of France playing what they used to call "Brutal Surf Music ") and The Orions ( an original and exotic combo from Tel Aviv,Israel). Surfana made a new (original) track! Check it out, as well as other tracks from our Participation Trophy Records labelmates. Robotron have a new album! This is the final part of the trilogy that begin in 2016 and finishes in 2019. So if you like Robotron and would like to support us, I would ask you to buy the new record (and the other albums as well) at BandCamp. The money received from the sales, will be used to buy new music equipment. 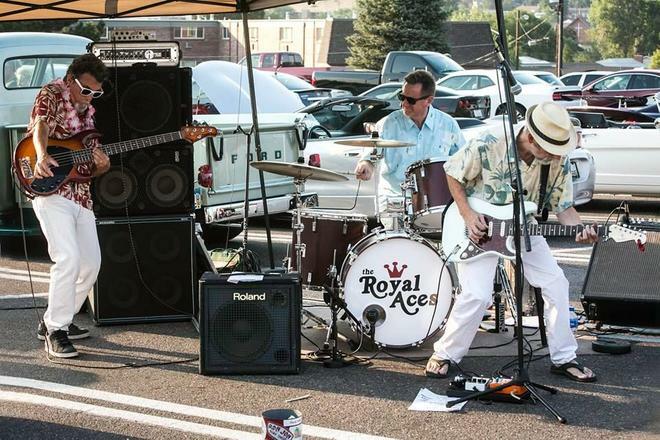 For 2019, the Royal Aces have once again been scheduled to play at every Golden Super Cruise Car Show, in Golden, CO. This huge car show takes place on the first Saturday of each month, from May through October, in the big King Sooper's parking lot on South Golden Road, and the Royal Aces will play from 3 to 6 pm. Below is a shot from a previous Golden Super Cruise. 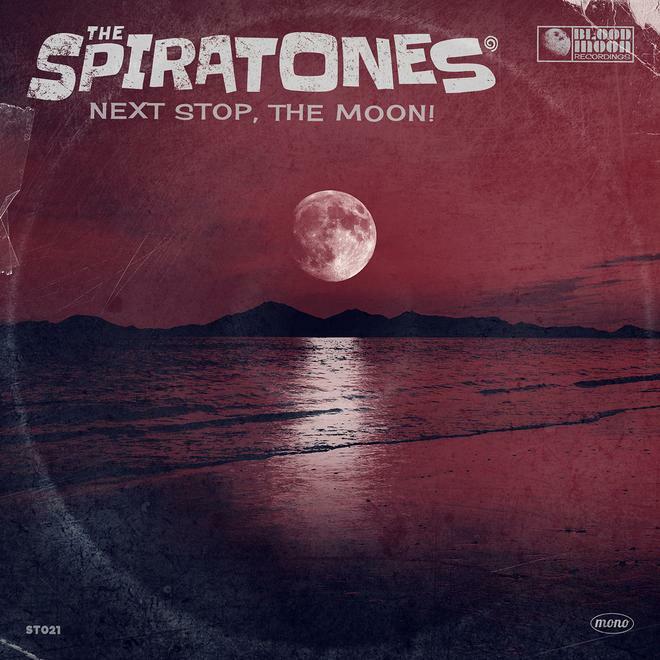 The Spiratones – Next Stop, The Moon! The Spiratones present their debut release! Four-track EP "Next Stop, The Moon!" captures the energy and atmosphere of a hidden coastline; from the sun-kissed grooves of Supergoose, to the moonlit beach party evoked in Spiratonic and Couch Surfer, all the way through to the elemental squall of Toecutter. To cut a long story short... music to dance to with company or on your lonesome, on a beach or in your bedroom. Available now at Bandcamp or on CD at live shows. The second volume of the Deep Eddy Three-way compilation series is NOW IN STOCK. Go to deepeddy.net to order your copy and get great new tracks from Urban Surf Kings, Beware of Blast, and The Nematoads. 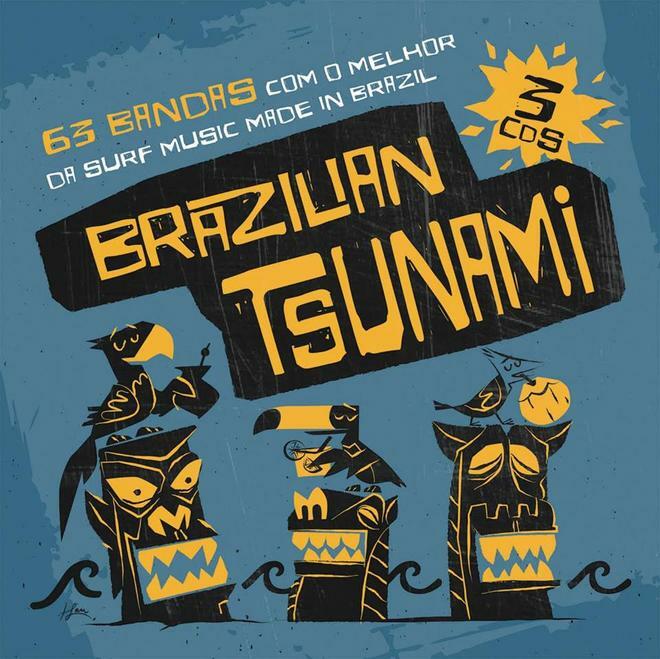 BRAZILIAN TSUNAMI Compilation with 63 Surf bands from Brasil!!! An incredible compilation with 63 surf bands from Brazil !!! Available soon in a amazing box with 3 CDS. Cover art by Henrique Sam. Available in Feb/2019!!! Stay tuned!!! 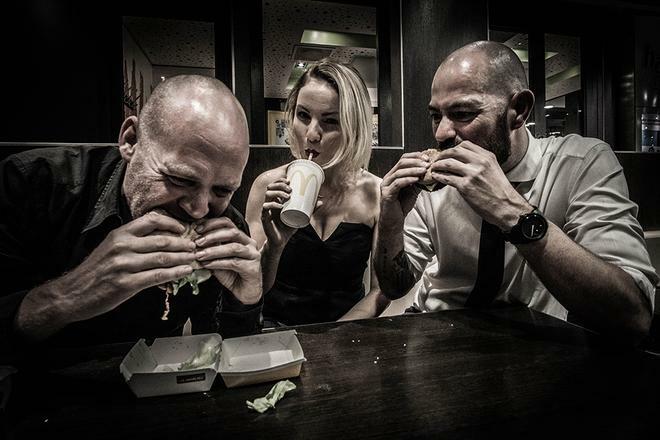 Stories from Shamehill's Royale with Cheese out now! You know what they call a Quarter Pounder with Cheese in Paris? The iconic scene from Pulp Fiction starring John Travolta and Samuel L. Jackson celebrates its 25th anniversary in 2019. The film, and especially the soundtrack, started the 'Third Wave of Surf Music'. 'Stories from Shamehill' has been riding this wave since 2012. 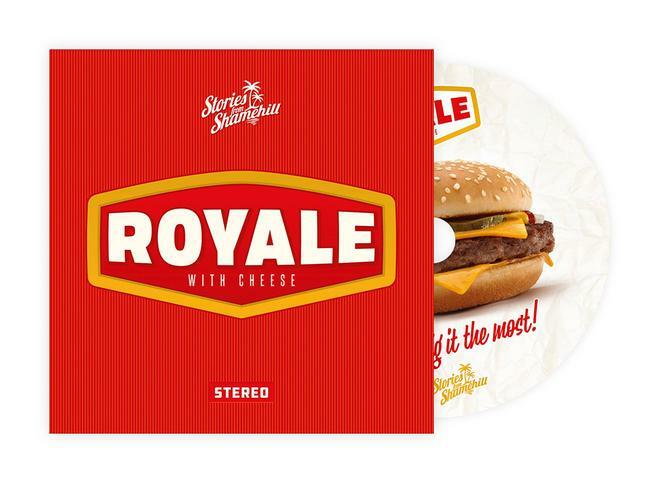 After an EP (Same same but different - 2015), live single (Made in Amsterdam - 2016) and a 7 "vinyl single (El Salto del Jalapeño / Queen or Tides - 2017) - recorded in Los Angeles during the California Dreamin 'Tour - is there finally the band's first full-length:' Royale with Cheese '. At the end of the endless Dutch summer of 2019, Stories from Shamehill’s lady and gentlemen entered the legendary Amsterdam IJland Studio to record eight juicy tracks that would not be out of place on the soundtrack of an obscure Quentin Tarantino movie. 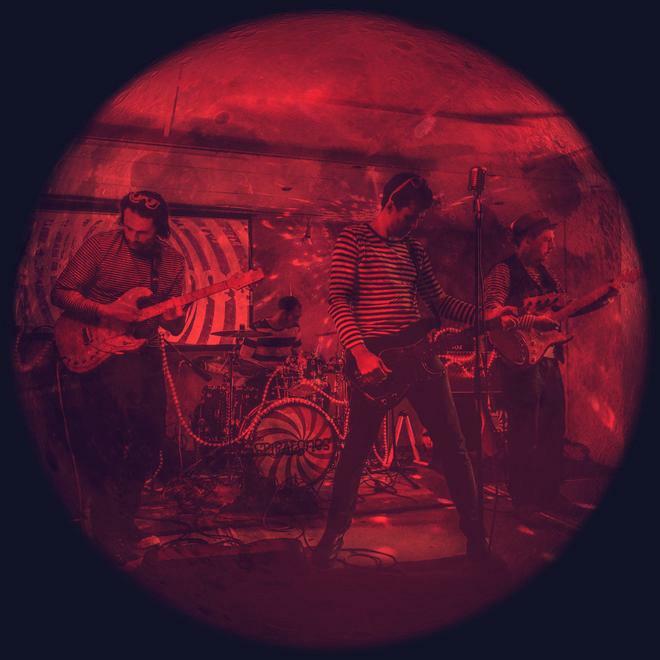 On 'Royale with Cheese' the band will take you on a cinematic journey: from the Californian beaches to the Russian tundra and back. Hard and heavy but also spheric and sultry. You'll dig it the most! Announcing the 2018 SurfGuitar101 MP3 Compilation! You must be a member of this website to submit an mp3. You may submit only 1 mp3. The mp3 you submit must not have appeared on any "official" release before. Likewise, please don't submit anything that is destined for an official release in the future. The file must be in mp3 format and less than 8 MB in size. There is a good chance the comp will end up on Archive.org. Therefore, you must agree to their Creative Commons (Attribution, Non-Commercial, No-Derivatives) License for your mp3. The deadline for submitting an mp3 is Friday, February 1st, 2019. Please use the comment thread for this news story to discuss the compilation and to get information on how to submit an mp3. Please also use that thread if you'd like to find a fellow member to work with on the project. With the magic of digital recording and the Internet, remote collaborations are possible. Make your own virtual surf band! Please check out our prior compilations by using the links in the bottom left sidebar of the desktop version of our site. Deke Dickerson, The Phantom Surfers and Los Straitjackets are coming to Malaga Spain in February for the Rockin Race Jamboree!